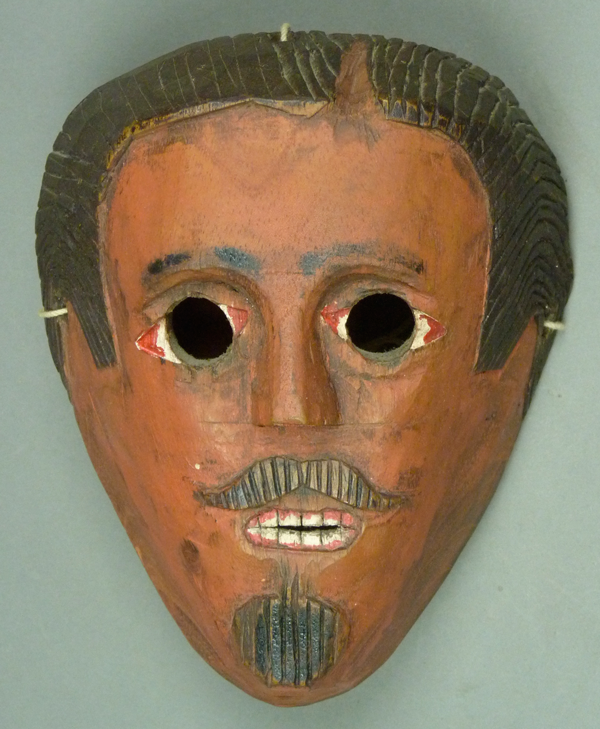 Recently there have been a number of Juanegro style masks offered on EBay™, but most of them strike me as decorative or reproduction masks. 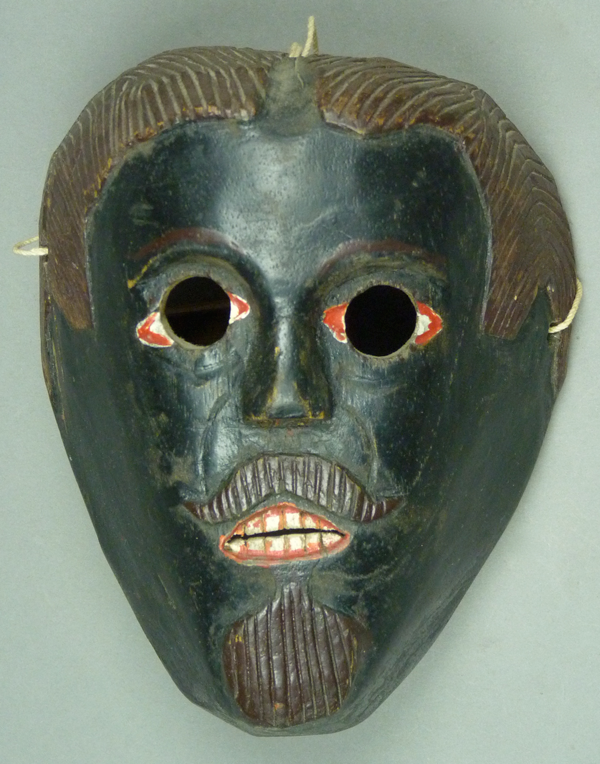 I was pleasantly surprised to find one Juanegro mask that did seem traditional and authentic. It looks to be by the same hand as a number of Juanegros from Tantoyuca or Tepecintca, Veracruz in my collection that were originally collected there by Jaled Muyaes and Estela Ogazón, probably in the 1970s. Here is the recent arrival. 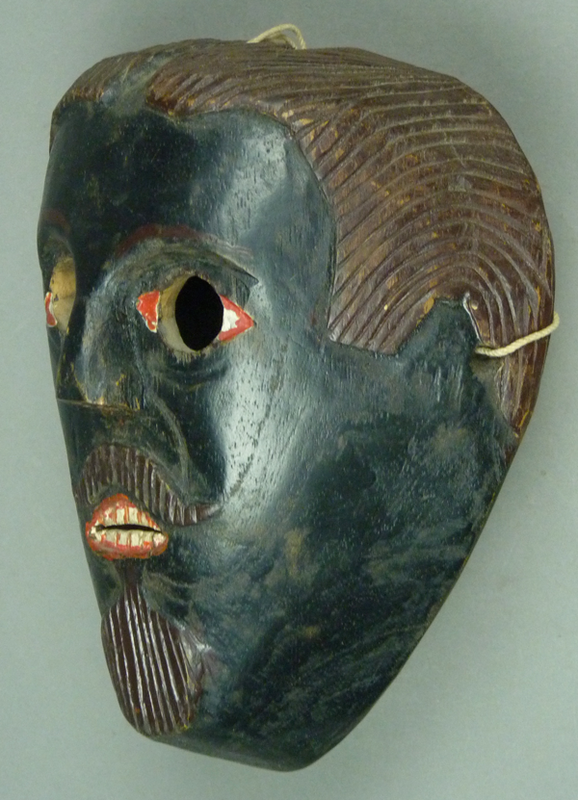 This mask of Juanegro, the African foreman who challenges the Caucasian Hacienda Owner for the hand of a female of the household, is only slightly different in design details from several other Juanegros masks in my collection. 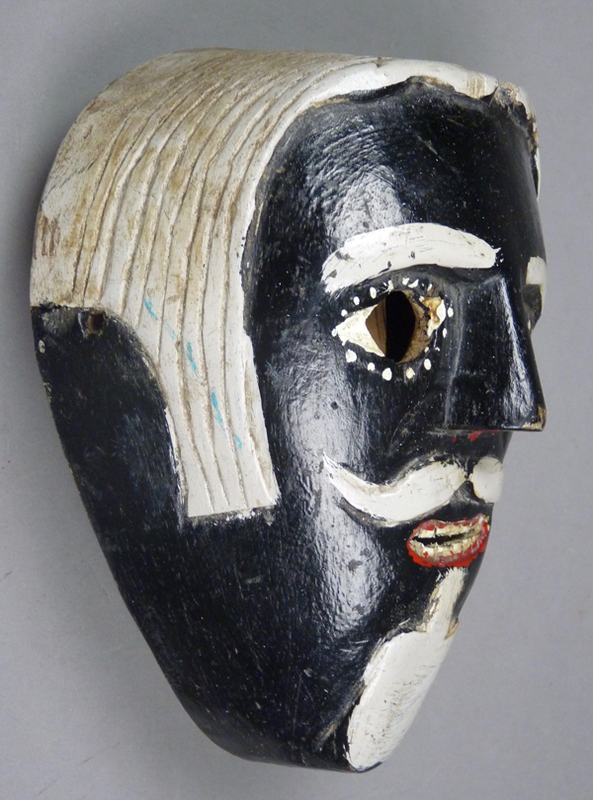 This mask has probably been repainted, and carelessly at that. 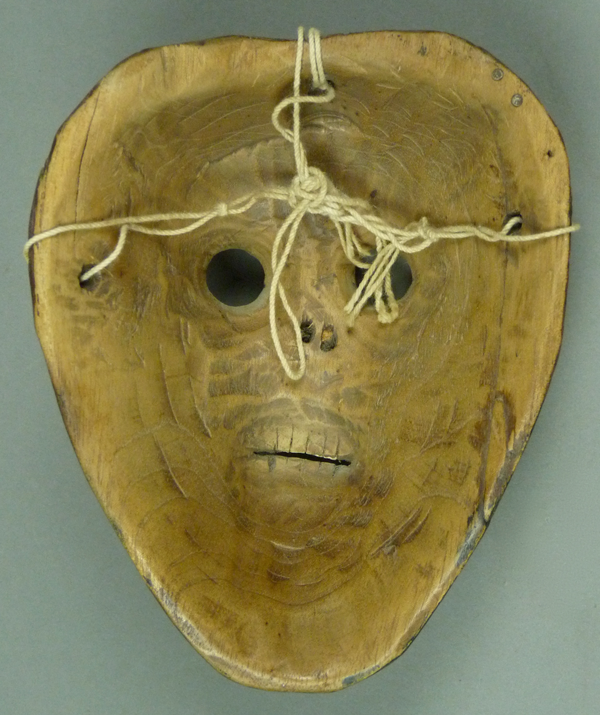 This mask is 6¾ inches tall, 5½ inches wide, and 3 inches deep. It was the design and the obvious age of the back that caught my attention. The back looks very similar to some others that follow. For comparison, two masks from Tepetcintla that I purchased from Robin and Barbara Cleaver in 1987 are shown to the right of the new arrival. They appeared in my post of September 21, 2015. The first represents Pañol, the Spanish Hacienda owner. 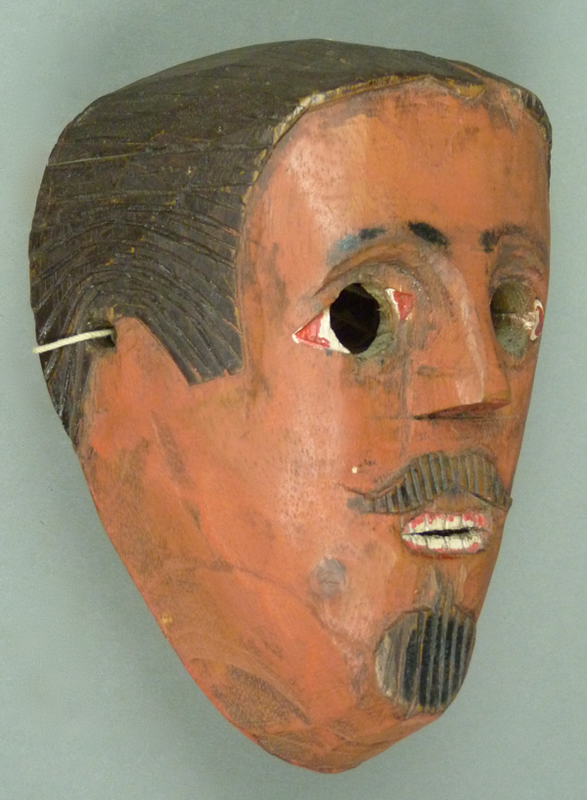 The red paint on this mask is extremely worn, simply from being handled in the course of annual use during Todos Santos (All Saints Day, celebrated around November 1 each year). 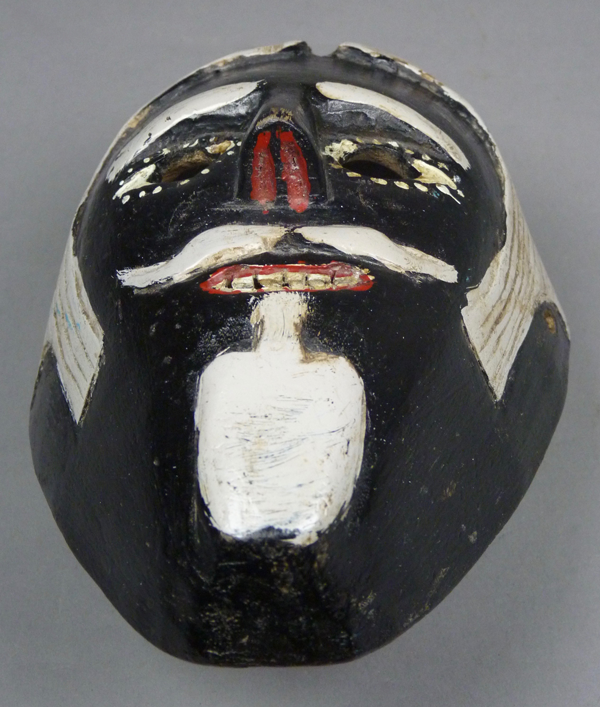 This mask is 6½ inches tall, 5½ inches wide, and 2½ inches deep. 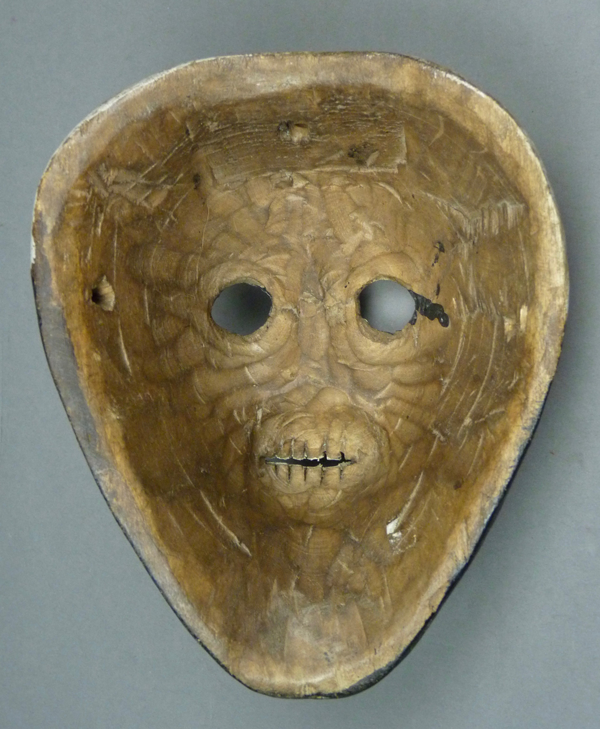 The back of this mask exhibits extreme darkening from age. His face is identical to that of Pañol, except of course for the the color of the face. 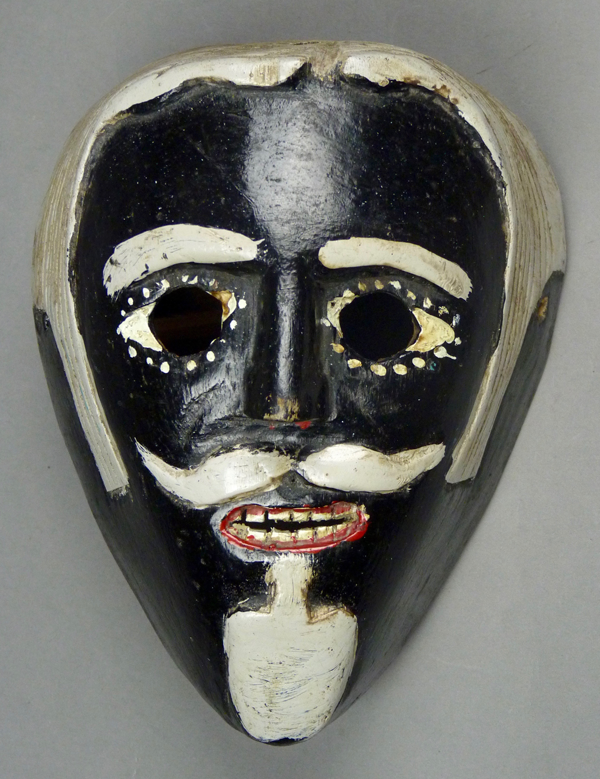 This mask also has very worn paint on the face. 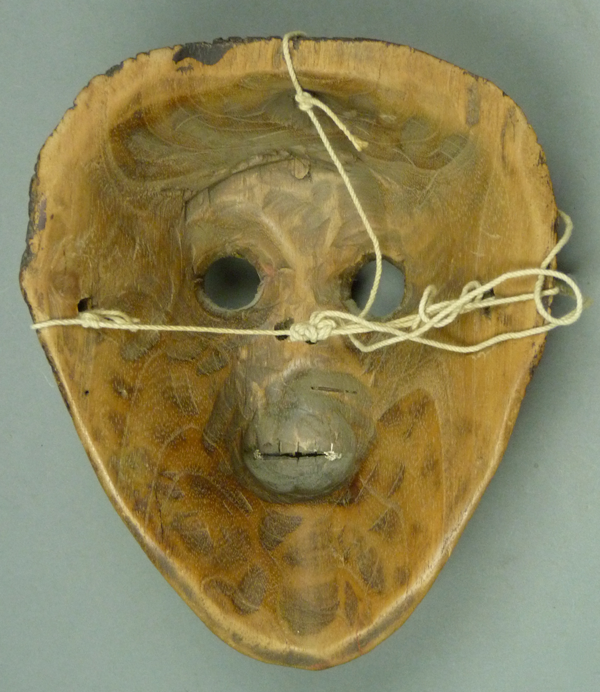 This mask is 6½ inches tall, 5¼ inches wide, and 2¾ inches deep. This is another darkly stained back. 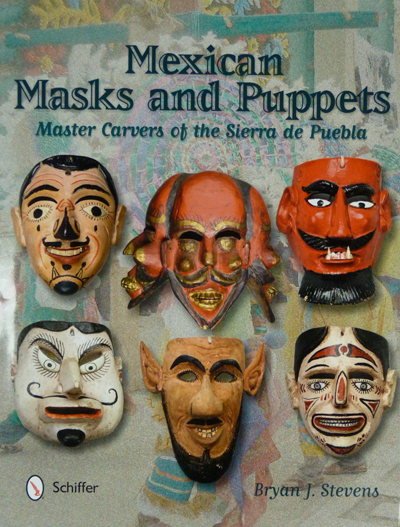 Next week we will look at masks by Pedro Huerta Mora, who lived in Cuetzalan, Puebla until his death in 2007.